Pockets can now be added to your schooling pad. Perfect for trail rides, hunts, or the zombie apocalypse! These pockets are constructed of a waterproof liner and matching outer fabric with a hook-and-loop closure for easy one-handed access. 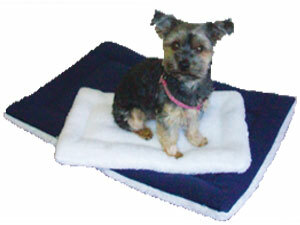 Measures approximately 10"h x 10"w x 1.5"d.
Available in all fleece or fleece with a cotton quilted bottom. You can also choose a novelty print or plaid to match one of our Fun Pads. 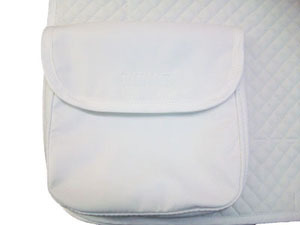 Available in all fleece or fleece with a cotton quilted bottom. Pony and Dressage sizes are also available. Sizes range from 24" to 56." We suggest a cover 8" shorter than your girth. 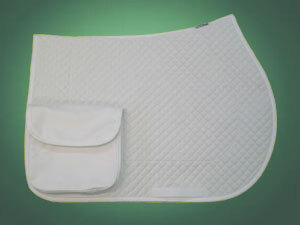 Girth covers are also available in Novelty prints or Plaids to match one of our Fun Pads. 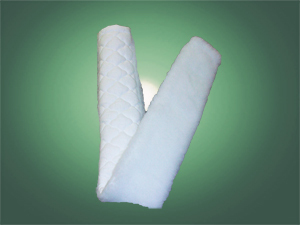 This Gel Pad Cover is constructed from our baby pad material and has a hook-and-loop closure to keep your gel pad in place. Standard or Large sizes available. Get it in color to coordinate with your gear or barn colors! Check out our Colors Available for options. 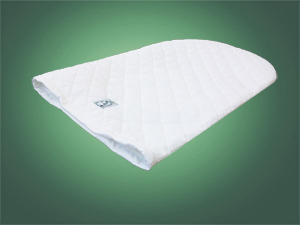 Available in all fleece or fleece with a cotton quilted bottom. Perfect for those horses that need just a little extra padding under the pommel. 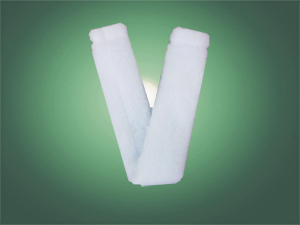 Order style #13DF to get 1/2" of foam added to it. 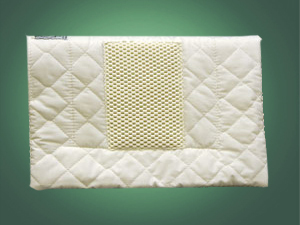 A pommel pad made out of our baby quilt material with a gripper surface on both the top and bottom to help keep your saddle in place. Available in your choice of baby pad color. 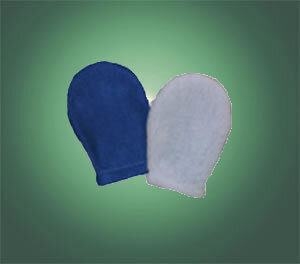 This handy little mitt is machine washable and dryer safe. Use it to brush, shine, or wash your horse. 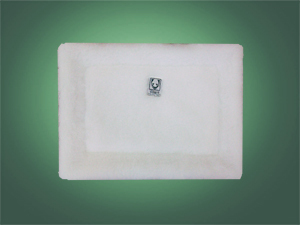 It is inexpensive, available in different polar fleece colors or all white, and a great thing to have on hand whether you are a novice or a seasoned horseman. You can even polish your boots with it! 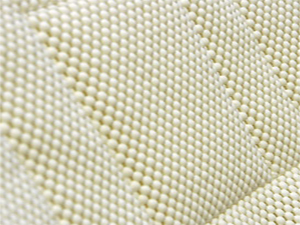 Our dog beds are constructed from near-indestructable materials, perfect for the 'ruff' and tumble pups out there! A fleece bottom and 1” polyfill middle are topped with your choice of fleece, novelty/plaid print, twill, or colored polar fleece. See our Colors Available and Fun Pads for choices.